All are welcome at Fountain Inn Presbyterian Church. We are a member of Foothills Presbytery, and we are a congregation of the Presbyterian Church (USA). Fountain Inn Presbyterian Church was organized in 1889, and the church was officially founded in 1890 by fourteen charter members. The first building erected was the sanctuary in 1891, and today, the church enjoys a beautifully landscaped campus with three major buildings. Recently constructed building on campus is the Christian Fellowship Center, dedicated in 2004, and the Rouse family home, situated between the church and Fountain Inn Library. Through the years, God has challenged and blessed this church in its ministry and mission, and today Fountain Inn Presbyterian Church has maintained a strong mission emphasis at home and abroad. Our church believes that mission begins at home, however, and that God calls us to wherever there is a need. History has found Fountain Inn Presbyterian Church at its best when it confessed its faith seriously, experienced the gifts of God personally, and engaged in God’s commission boldly. Our church is governed by our Session, which is composed of 13 ruling elders and one youth elder. Our system of government is democratic in its nature and structure, and we are guided by Scripture, our Book of Confessions, and our Book of Order. One of our chief goals is to gather together for worship and fellowship so that we may leave to serve a world in need in the name of Jesus Christ. We believe every member has a ministry at FIPC, and we seek to nurture and utilize the various gifts our members bring to share. 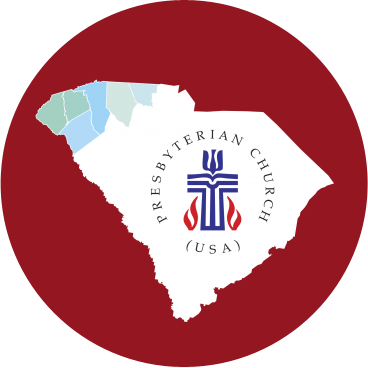 Foothills Presbytery consists of all PCUSA churches in Upstate South Carolina and is our voting body in national denominational matters. Ready to learn more? Find out what we believe.